The market lost its temper. This is a very difficult time to trade. Gold: The fight is fierce in the gold market. It is difficult for gold to go up and to go down. It is better to wait until the market is stable and direction is decided. The same goes for the silver market. WTI: The energy market seems to be getting something. It is very unstable. WTI will continue to rise. The target is $ 63.1. Euro: I do not know if the euro will go up a little more. The important thing is that EURUSD has hit the strong resistance line of 1.1432. It is better to wait until the direction becomes clear. 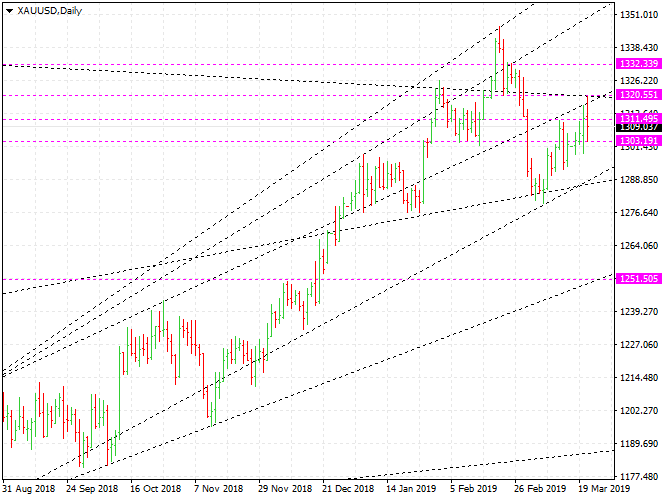 USDCAD will keep going up. AUDUSD will go down. SP500: The stock market is crazy. Perhaps, they seem to be crazy who are doing all their power to boost stock indexes. The stock indexes appear to be as important to them as life. I will wait for a safe opportunity.